Dt 10:12-22 Moses: "The Lord asks: fear, follow, love, and serve God to whom all belongs; keep his commandments. God loves you, chose you, gave you descendants, peace, and food. God has no favorites, accepts no bribes, executes justice, befriends the alien. Circumcise your heart." Ps 147:12-13, 14-15, 19-20 Praise the Lord, Jerusalem. Mt 17:22-27 "The Son of Man will be handed over, killed, and raised." Capernaum: "Pay the temple tax?" 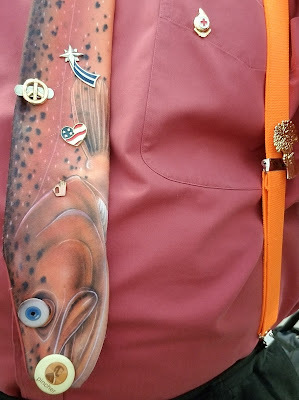 / "The subjects are exempt, but open the fish's mouth to get a coin to pay our taxes." Creighton: I prayed over today’s readings with Lectio Divina, reading them slowly, listening carefully, pondering, attending to my thoughts and memories, and giving God what I found. What stayed with me is, “As God befriends the alien, feeding and clothing him, so you too must befriend the alien, for you were once aliens....” I remembered people in our community who have welcomed refugees, helping them get food, housing, and work. I heard God invite me to use my gifts to welcome those entering new situations, to seek opportunities to show God’s love to others. I feel called to be more engaged in welcoming refugee families striving to feel settled in their new homes. One Bread, One Body: "Fear ye, fear ye": Before we can love, serve, and obey the Lord, we must fear Him. Fear of the Lord is the beginning of wisdom and of loving God with all our hearts. By living our faith, we deepen our fear of the Lord, awed by his presence, love, and power. As we immerse ourselves in Scripture, we tremble at his Word. By grace, fear of the Lord becomes our delight becomes the fear of the Lord. In the Spirit, reverent fear can help us submit to one another. As we progress in fear of the Lord, we enjoy the consolation of the Spirit who produces great love in our lives. 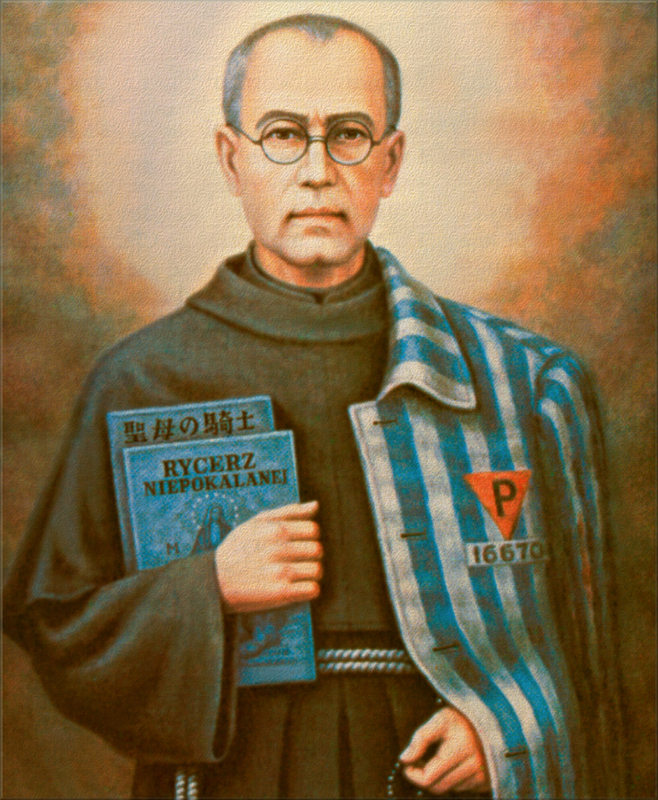 Passionist: Maximilian Kolbe did the unforgettable: he gave his life for another prisoner during the Holocaust. This friar offered to be put to death in place of a fellow Auschwitz prisoner (Franciszek Gajowniczek) whose family would never see him again had he been killed. Today's readings remind us to fear, love, and serve the Lord, follow his ways, and keep his commandments. Sunday's 1st reading reminded us that sometimes the Lord can be heard only in a whisper, but Moses' pronouncement is a mighty shout, one that St. Maximilian heard and followed as he loved the Lord above all else and laid down our life for another. DailyScripture.net: "Not to give offense": When questioned about paying the (unjust, unreasonable) tax, Jesus said they must pay so as not to cause bad example. We must go beyond our duty. The scriptural expression "give no offense" means to put no stumbling block in another's way. Jesus never gave bad example. Do I evade unpleasant responsibilities?